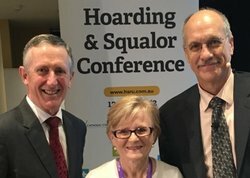 The 4th National Hoarding and Squalor Conference took place on 29 & 30 June 2016 at Rydges World Square, Sydney. The purpose of the Conference was to highlight the impact of hoarding and squalor on individuals, families and communities and to continue to raise awareness and emphasise the need for a multi-disciplinary approach to hoarding and squalor issues. 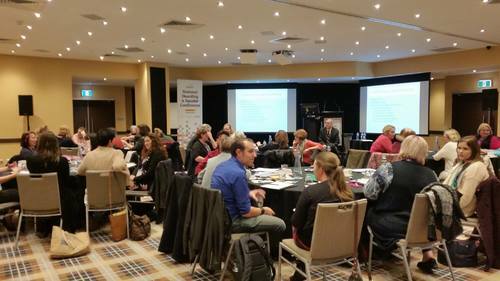 The Conference explored existing service provisions, identified service strengths and weaknesses and will develop recommendations for future action. Pre-Conference Workshop was a sell out success! The day prior to the Conference, 28 June 2016, Dr Randy O. Frost, Professor of Psychology and acclaimed author of books including ‘Buried in Treasure’, attended from the USA to run a pre-Conference Workshop. "First time I have attended - will definitely attend again. Randy Frost and Chris Mogan were so informative." "This Conference has been educational and also inspiring. I am leaving with tangible resources and strategies that can be used immediately in the workplace and with families." "Thank you for organising the Conference. A wonderful opportunity to meet peers and listen to the current status of the sector. Excited about what lies ahead!" "Very good Conference. Learnt heaps. Very glad I came."